Earlier this year my daughter woke up with a large pimple on her chin. It was the kind that would make any pre-teen or teen self-conscious. Before she showed me, she placed a Band-Aid over it. “What happened?” I asked. Embarrassed and anxious, she peeled it off. I immediately understood why she’d gone to great lengths to conceal it. I had naively dabbed some lotion, my dermatologist prescribed to me for acne problems, on the problem area. After a few days I noticed my daughter’s skin drying. I had committed the biggest SIN in skincare: don’t use adult products on young skin. I then turned to my Instagram followers for advice. Toothpaste was the most common remedy many people offered. I’d heard it a lot growing up, but it too is not recommended. Our next stop was the pharmacy. Maybe it was time Janah developed a skincare routine, I thought. I bought a few over the counter products, relying on the sales person to give her a skin analysis; again, another mistake. My daughter and I were then contacted by De La Mer Spa, in Dubai, offering her an opportunity to get a skin analysis and for her to learn more about looking after her skin. Before that I’d never thought about seeking professional advice. After all, she was just 11 at the time. Janah had clogged pours, blackheads and pigmentation issues. Once she met with therapist, Samantha Gayle, we both began to learn how to care for young skin. She had her first facial and extractions before she was given the Nimue Teen Skincare range to use on her skin over the summer. She noticed an immediate change in her skin. Brighter, balance and the clogged pores were no longer a problem. It’s a testament to Janah’s commitment that we saw the results so quickly. It has been 4 months since she started using the products and what a difference it has made not only to her skin but also her confidence. She is now showing her younger sister how to cleanse her skin to prevent major breakout. Together with Del a Mer Spa we’ve launched a Teen Skin Care Campaign across the United Arab Emirates help your child better understand their skin and what to do before they develop acne. The market is saturated with product that can harm your skin rather than help it. Information online isn’t always as helpful, and it can be confusing, too. It’s important to always seek professional advice before using any product. Throughout this experience, Janah and I have learned that developing a good skincare routine early will help her manage any acne problems in the future. It’s that time of year when the world’s best beach soccer players converge on Dubai to take part in the annual beach soccer tournament, Huawei Beach Soccer Intercontinental Cup. This year you’ll see world champions Brazil trying to maintain the phenomenal unbeaten run of 43 matches over the last two years, while hoping to retain the Intercontinental Cup. The samba boys are hot favourite this year to take out the trophy but on their tale, are the Portuguese, Russia and Iran. Also playing are the home team, UAE, while Egypt make a return to the tournament alongside Mexico and Paraguay. This event is FREE and a great way to spend the afternoon with the family. Catch all the action down on the sand at Marasi Business Bay. Make sure you get down there early to get a good parking spot otherwise catch the metro to Business Bay and hop on the free shuttle service. The Dubai Fitness Challenge carnival continues with a cool superheroes walkathon down at Skydive Dubai. The only prerequisite is that you must be in a costume to participate in the 3km walk. The route will take you through the scenic Dubai Marina Promenade. Registration starts at 3pm while the walk starts at 4pm. Water and refreshments will be served along the way. Stick around for all the exciting activities planned after the walk as well as surprise celebrity guest appearances. Entry is FREE. TALL STORIES’ THE GRUFFALO roars back to the UAE direct from London’s West End, bringing everyone’s favourite furry monster to life on stage. THE GRUFFALO is the must-see family show for lovers of the timeless story and everyone looking for a smashing day out! TALL STORIES’ hit musical adaptation of the much-loved picture book by JULIA DONALDSON and AXEL SCHEFFLER will perform at MADINAT THEATRE, DUBAI on Friday the 10th and Saturday 11th of November 2017, presented by CENTRE STAGE ARTS, as the most fearsome creature that never was – but is, takes to the stage in this enchanting production with the perfect combination of songs, laughter, physical theatre and just the right amount of scary fun! Set to a wonderfully catchy score with original music and lyrics, THE GRUFFALO continues to entertain audiences the world over. Tickets start from AED135 and are available from Virgin Megastores and Madinat Theatre. As part of the UK/UAE 2017 Year of Creative Collaboration led by the British Council, Art For All is delighted to announce that they will be bringing Roald Dahl smash hit stage show George’s Marvellous Medicine to the UAE in November 2017. Performed by the Birmingham Stage Company and adapted for the stage by award-winning children’s theatre director, David Wood, this acclaimed production has already proved a sell-out in the four previous times it has been performed in the UAE. The hero of the story is George; a little boy who lives on a farm with his mum and dad, and horrible grumpy grandma – who is rather strange and tells him she’s a witch. One day, while left in charge of grandma, George decides he’s had enough of her bullying ways, and he’s going to teach her a lesson. Instead of giving her a dose of her normal medicine, he sets about making one of his own – with extraordinary results… An absolutely brilliant tale that stays true to Dahl’s wonderfully imaginative story, audiences are in for a huge treat. Tickets are available from AED150 and are available at Ductac and Virgin Tickets. As part of the UK/UAE 2017 Year of Creative Collaboration led by the British Council, Art For All is delighted to announce that in November they will be bringing much-loved children’s ballet, Goldilocks & The Three Bears, to the UAE. Performed by the Northern Ballet, this beautiful production is a wonderful way to introduce little ones to the magic of live ballet, music and theatre. In collaboration with Art for Life UAE, I am giving you the chance to WIN 4 tickets to see the Northern Ballet bring one of my all-time favourite children’s stories, Goldilocks and the Three Bears to life at the Madinat Jumeriah Theatre. These tickets are for Saturday, November 25 at 2pm. On Instagram follow @artforlifeuae, @arabianmum, hit the follow button on this blog, and tag three friends. Competition closes on Sunday, October 15 at 6pm and the winner will be announced on Monday, October 16. Join us for this captivating children’s ballet, performed with little people in mind. In March, I faced one of my greatest fears head on. I embarked on a challenge to learn to swim. I’ve spoken about it previously on my blog but what I haven’t done is share the reasons why I never learned to swim as a child and why now, at 40, I have tackled it, along the way inspiring other adults to step out of their comfort zone and overcome their fear of swimming pools. I grew up with my very conservative Muslim father, so when he told me as a child that I would no longer be allowed to wear a swimsuit, I found ways to avoid school swimming lessons. I was eight and embarrassed at having to jump in the water with my classmates in shorts and a T-shirt; during the 80s we didn’t have the luxury of rash tops or knee-length swimsuits like the one I wear today. The decision I made to sit out swimming lessons led to an incident that caused me to fear swimming pools for most of my life. I recall being at a school swim gala when the teachers gathered the non-swimmers together for water games. After jumping in the water and watching my friends swim comfortably across the pool, I found myself sinking and gasping for air. I was extremely fortunate that a man saw me and dived in to save me. Until recently, whenever I couldn’t touch the bottom of the pool, my heart would race and I found myself scrambling back to the shallow end. For 25 years, I have made excuses to avoid getting in the water and learning to swim. As the mother of four girls, I made sure that my eldest three learned to swim from a young age and that they have confidence in the pool and ocean. Empowering them with these skills has made me feel confident about them being around swimming pools; I didn’t want to pass my fears on to them. My youngest is 18 months and she is now getting in the pool and learning to swim. As part of my 40 before 40 challenge, where I set out to do 40 things before I turned 40, I had swimming at the top of my list. After five lessons, I began swimming 25 metres without fearing the deep end. I had learned the necessary skills to keep myself afloat while breathing and kicking. It was one of the most liberating feelings. After sharing my story on Instagram (@arabianmum), I was inundated with messages from adults who had not learned to swim. They had been embarrassed for so long, but after following my journey they were encouraged to face their fears. A popular radio show in Dubai, Virgin Radio’s the Kris Fade Show, aired my story, sparking a flood of calls and messages to the programme. Myself and the presenters of the Kris Fade Show teamed up with Absolute Swimming UAE, where I have been learning to swim, to offer a group of adult non-swimmers an opportunity to learn to swim. The impact was immediate. Local UAE media supported the campaign as did UAE-based Serbian Olympian and two-time European swimming champion Velimir Stjepanovic. Swimming is a necessity. So often we assume and take for granted that everyone around us knows how to swim. Learning to swim, whether you’re an adult or a child, can save lives. If you’re afraid of the water and have put off learning to swim for a while, make today the day you start. Parents, please invest in swimming lessons for your children. It may be the difference between life and death. You can continue to follow my swimming story on Instagram (@arabianmum). Thank you to the team at Absolute Swimming UAE, Kris Fade and the team at the Kris Fade Show for getting behind this important campaign to learn to swim. As I prepare to say goodbye to my thirties, I have decided to embark on a 40 before 40 challenge to bid farewell to one of the best decades of my life. I am 40 in April. This challenge is not about being a daredevil, instead I want it to help me make better lifestyle choices and be a little more adventurous in my forties. On my 40 before 40 list is learning to ski. Thankfully I didn’t need to travel to Switzerland or France for this challenge. In Dubai we have the world’s largest indoor snow park, Ski Dubai, where I began my five-week ski camp earlier this week. While I won’t be sharing my entire list, I will give you a few snap shots of some of the challenges I am facing. Living as an expat anywhere in the world means being away from your loved ones. Wherever we end up, our friends become the closest thing to family. It’s inevitable, particularly living in the Arab world where we will never be the citizens of the country, for the expat journey to end. The past year has been particularly difficult as one by one I’ve watched good friends make the hard decision to return to their native countries. The impact of falling oil prices has had a crippling effect on jobs across all industries. Last Summer residents first began to witness the large exodus of expats across the region, mostly families, where one spouse had lost his or her job. Summer or Christmas are usually the most common times for families to pack up and leave, as it ensures their child’s education is not disrupted. The high cost of living has also played a critical role in expats leaving the GCC. Some families have even opted to separate, with dad staying on and working in the region while mum and the children return home. The main trigger is the cost of education. Here in the UAE private school fees continue to rise, with some schools often charging more than USD 10,000 for kindy. The expat exodus has become the most talked about issue at mummy group gatherings – many said their good byes this past week as schools wrapped up for the winter break. My eldest daughter, Janah, a Year 7 student, said three children in her class would not return in the new school year. This past week I learned that another friend left Dubai. It’s the fifth family that has returned to their country over the last year. As I look back on my 8.5 years in the UAE, I’m reminded of the mass exodus, post the global financial crisis. I had only been here for six months when it hit our shores. The impact was felt across all industries. We were among the few families who survived it and we watched as Dubai and neighbouring cities rebuilt. When old friends leave, it opens the door to new friendships. I’m looking forward to welcoming newcomers to the city. To my old friends, we will always have DUBAI. On December 22, 2016, Dubai’s most loved newspaper, 7Days, will print its final newspaper. The current trading environment and future global outlook for print advertising remains severely challenged,” explains 7Days CEO Mark Rix. “Whilst it was our stated intention to re-focus and restructure the business for 2017 and beyond, it has since proved not possible to create an acceptable cost base that could deliver a viable and sustainable business. The closure leaves about 50 people, some friends, without jobs. Almost two years have passed since my last post. I can remember the day I lost my passion to write: it was not long after I found out I was pregnant with my fourth child. Since then I’ve given birth to a beautiful baby girl, Amalia, but the journey to this point has been long. Once, writing was my way of processing what was happening in my world. It was the easiest way to vent or to express happy moments. Written words were far more powerful than spoken. I’m slowly coming back. There is so much to tell you. My battle with prenatal depression was perhaps the main reason I stayed away. I lost control of my coaching voice and it took a long time for it to resurface. I’ll write about it soon. I’m still in Dubai. I can’t believe it has been almost nine years in this incredible city and country, which really does hold a place in my heart. 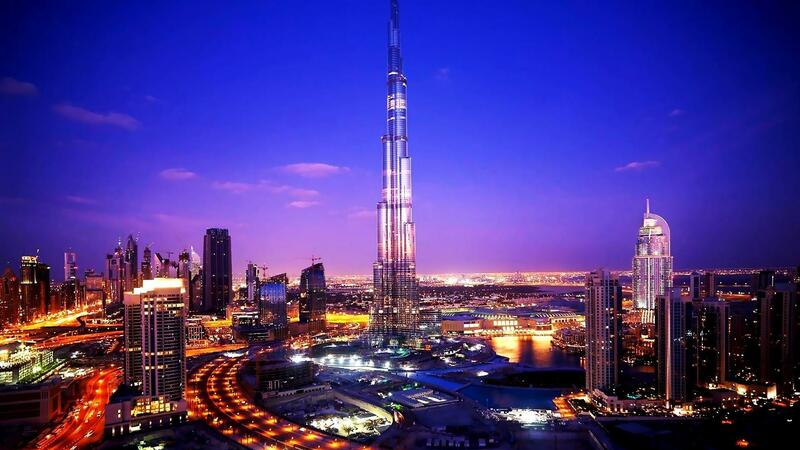 The United Arab Emirates is our second home. Let me introduce the new addition to our family. Amalia was born on 20 October 2015, and shares her birthday with her father. She completes my beautiful family. 2016 was also the year I met some very special people. After years of speaking on the phone and hearing their horror story of escaping the Syrian war, I met my aunty Hiyam and her family during a short trip to Lebanon. I also met my uncles, my mother’s brothers, one of whom lost his battle with cancer in November. It was a truly sad day, as I had only just started to lean more about my extended family. Having a base in the Middle East has allowed me to discover more about people I’d only seen in photographs during my childhood. I’ll write more about it over the next few months. As one year ends and another is about to begin, I’d like to take this moment to wish you safe and happy holidays. My Arabia will be back with so many wonderful stories. ‘Would you like to come with me to Lebanon?’ my father would often ask me when I was a teenager, as he planned his annual trip to his home country. “No!” I’d reply arrogantly, shutting down any idea of travelling to that place so far away. I’d heard the stories of girls returning home to be married off to a cousin who was only ever interested in getting an Australian visa – his ticket to freedom. As the years passed, my father stopped asking and I never broached the subject. Shamefully, my youth was spent distancing myself from my Lebanese heritage. Lebanon was a tiny nation far away from Australia, where I was born and raised. It reminded me of my father’s strict Middle Eastern culture, one which shaped my lonely teenage years ‒ not to mention the poor reputation the Lebanese community had in Australia. Why on earth would I want to be connected to the country? My father is from a small village in Syr el dannieh, in North Lebanon, 22 km from the country’s second largest city, Tripoli, and several hours from cosmopolitan Beirut. Throughout my childhood I’d heard tales of gun battles and family feuds – my uncle was once shot in the crossfire between two quarrelling neighbours. The image of Lebanon in my mind was a far cry from the real beauty of this small country, bordered by Syria to the north and Israel to the south, and situated at the crossroads of the Mediterranean Basin and the Arabian hinterland. Its rich history and cultural and religious diversity is a result of all these influences. Like the millions of Lebanese expats scattered around the world, my father and mother left Lebanon at the beginning of the Lebanese Civil War in 1975. Before that, my mother says, Lebanon was compared with Switzerland, and Beirut was the ‘Paris of the Middle East’. They, like many other Lebanese, had planned to return, but 40 years on they are still in Sydney, Australia. Fifteen years of civil war created great divisions among religious and political groups that still stand today, making life difficult and even dangerous. As I grew older and became more fascinated with Middle East politics, the need to travel to my parents’ birthplace grew stronger. My first visit in 2011 with my husband and three daughters was brief – four days to be precise ‒ hardly any time in which to explore this majestic country. Two days were spent dashing through a rainstorm; a quick photo on the Corniche (Raouche’) was the only proof that I had visited Beirut that year. Finally, I had made it to Syr, where I met my aunt and cousins for the first time. Their faces and voices were familiar; the years we’d spent talking on the phone made the introduction easier. I’m not sure I would have made the journey so far north had my father not been staying in his hometown that year. The pride on his face made the visit worth it; he was clearly happy to see me explore his part of the world. Although it was difficult to do or see anything with my three small children, we still managed one important trip to my father’s property in the mountains. As snow fell, dad and my cousin Fadi guided us further north, stopping along the way to take photos of the mountainous terrain, and for my daughters to stretch their legs and play in the snow. But as the sun set over the snow-covered mountains, I knew I was exactly where I needed to be. In that moment, I promised myself that I would return to explore Lebanon fully. Living in Dubai made it easier to travel to Lebanon. From Sydney, Australia, it takes up to 19 hours, which is an effective discouragement. Several months after my first visit, the Syrian uprising began, and the hundreds of thousands of refugees spilling into the country had a profound impact on Lebanon. The United Nations estimates that today there are over one million Syrian refugees in Lebanon. My mother’s extended family, including my aunty and her family, escaped Homs in Syria and now live in Tripoli. Lebanon is deeply divided over the Syrian war, creating further problems for the country. In August 2013, a car bomb ripped through a busy shopping street in Hezbollah’s stronghold in the southern suburbs of Beirut, killing 21 people and injuring hundreds. It was the deadliest attack in the Lebanese capital since the 2005 assassination of the former Prime Minister, Rafic Hariri. December 27, 2014 marked the first anniversary of the assassination in Beirut of former Lebanese finance minister Mohamed Chatah. With so much unrest in Lebanon, I had put off my return until now. If the Lebanese people could bravely live through this tumultuous unrest, there was no reason why I shouldn’t return and explore Lebanon. Giving in to fear would mean giving in to the militants and political factions happily spreading hate and tearing a nation apart for personal gain. 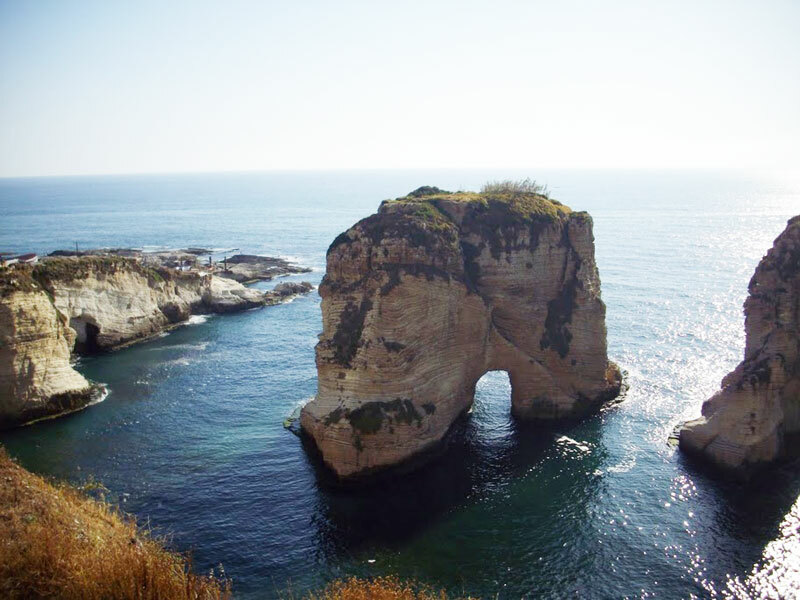 A family wedding in Beirut was the perfect excuse for us to visit Lebanon in December 2014. We put our fate in God’s hands and booked five return tickets. We were tourists, desperate to explore every corner of this splendid country. 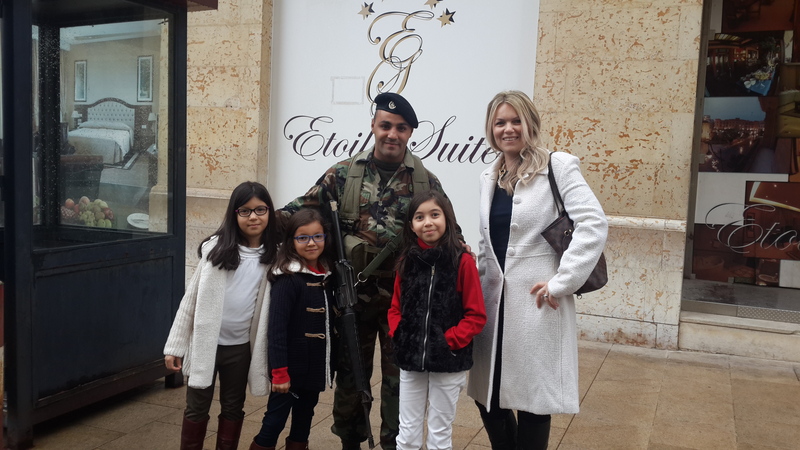 As we arrived in the capital, I was taken aback by the strong presence of Lebanese soldiers posted on almost every street corner. Amid the Christmas decorations, colourful lights and Coco-Cola-influenced Christmas tree, it wasn’t uncommon to see tanks and armed soldiers posted in densely populated areas such as Beirut Souks, a major commercial district in the Beirut Central District, with over 200 shops and department stores. Visiting the Beirut Souks is a must if you travel to Lebanon. It is home to the finest designer labels, from Hermes to Carolina Herrera and high-street labels such as Zara. If you’re looking for a place to dine, the Met (Metropolitan Café) is perfect for a light meal or traditional Lebanese coffee. The civil war left visible scars on the tattered, bullet-pocked apartment blocks. Narrow streets make it difficult for cars to pass, so locals usually get around on scooters, and it’s not uncommon to see three people on one at any time. Bed sheets replace windows in poorer areas where Palestinian and Syrian refugees are housed. Beggars line the streets. Hussein, our tour guide, says Palestinians and Syrians are too proud to beg and the women carrying babies as a way of seeking sympathy are Gypsies who make a living scamming tourists. Anyone who has ever been stuck on the border between Tijuana, Mexico and the United States will understand how it feels to have small children and women approach the car, bang against the window and demand money. I was confronted with this again when a mother with a small child pleaded for money as we drove through the popular streets of Hamra in West Beirut. Where else in the world would you see a mosque and church side by side? 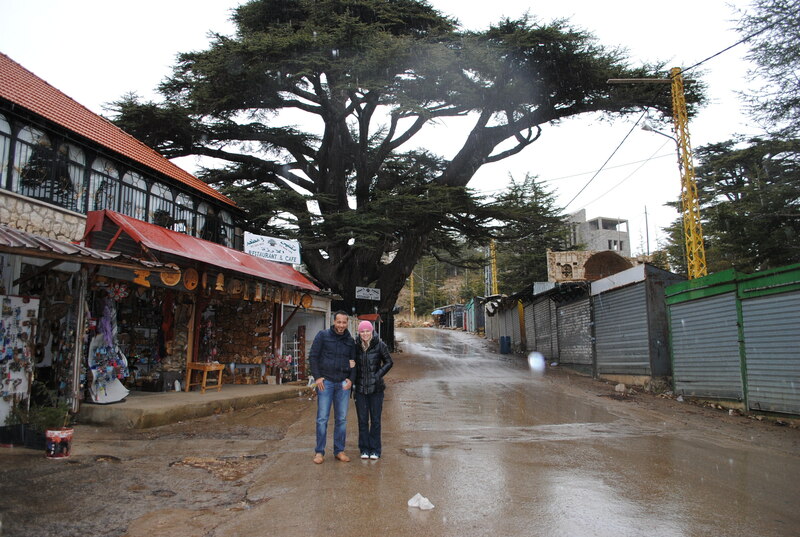 Once we’d left the heart of Beirut, our first trip was north to The Cedars (Arz Libnan). Our private tour of Lebanon took us on a scenic drive through Becharre – the poet Khalil Gibran’s birthplace – to the Qadisha Valley. Despite the cool temperatures, we insisted on stopping to admire this deep gorge carved by the Qadisha River. Located at the foot of Mount al-Makmal in northern Lebanon, the Qadisha Valley is listed as a UNESCO World Heritage Site because some of the earliest Christian monastic settlements were situated here. I couldn’t believe this hidden treasure was in Lebanon and that I had shunned such beauty throughout my youth. With a few more stops along the way, we managed to climb the windy, slippery road leading to The Cedars. During the heavy snowfall period, The Cedars, perhaps one of the most beautiful spots in the country, is populated with locals and tourists who enjoy skiing. At the entrance to The Grove stands a cedar tree believed to be hundreds of years old. Baalbek, a town in the Beqqa Valley, contains some of the best preserved Roman ruins in Lebanon. Despite my pleas, we were strongly advised by our family in Beirut and in Sydney not to visit another UNESCO Heritage Site. According to our relatives, I was at great risk. Militants have been known to target westerners travelling through the Beqqa Valley. ‘Your wife looks American,’ one relative told my husband. ‘She’s an easy target for kidnappers,’ another added. When you travel to a country where there are strong political and religious divisions, your best source of guidance is the locals and tour guides. The next part of our journey took us to the city of Tripoli, where my mother grew up and where my aunts and uncle live. We stopped briefly at one of the most famous restaurants, Abdul Rahman Hallab & Sons, for lunch. For years, I’d heard about their knefa and baklava, and had to try some of these traditional Lebanese desserts. At nightfall the call to prayer echoed out from Al-Salam Mosque, where just 18 months previously a car laden with 100 kg of explosives had ripped through the mosque, leaving a huge crater and the floors covered with blood. It was the second bomb to explode that afternoon; minutes earlier, the Taqwa mosque had been targeted. Dozens were killed in the blast and hundreds more injured. Now, however, the mosque was packed with worshippers who had arrived for prayers. Today, no one takes any chances. Armed Lebanese soldiers and tanks heavily guard Tripoli’s streets. Cars left unattended with the engines still running are always a great concern. Unlike Beirut, which has been partially rebuilt since the war to attract tourists, Tripoli is rundown and dirty. Old buildings destroyed during the civil war remain standing, a stark reminder of the city’s harsh history. Knowing I was just metres away from where one of the deadliest car bombings had taken place since the war, it was hard not to feel anxious. Even in Beirut’s city streets, you need to be alert. The country is still stricken with problems, and car bombs can go off unexpectedly at any time. We’d situated ourselves in a suburb east of Beirut, Sin el-Fil, literally translated as the ‘tooth of an elephant’, staying at the Hilton Grand Habtoor. After living in a Muslim country for seven years and listening to the call to prayer five times a day, it was odd waking up to church bells ringing on Sunday. 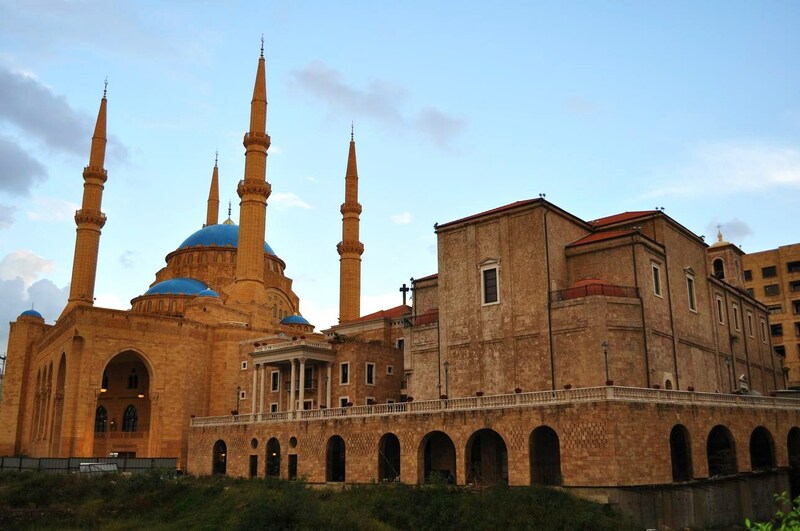 There are 18 recognised religious sects in Lebanon, and Christians and Muslims form the majority. The most recent study conducted by Statistics Lebanon found that approximately 54 per cent of the population is Muslim, divided equally between Sunni and Shiite. Christians make up 34 per cent of the population, which explains why many parts of Lebanon are richly decorated with Christmas trimmings. Between family gatherings, we managed to sneak in another impressive tour. 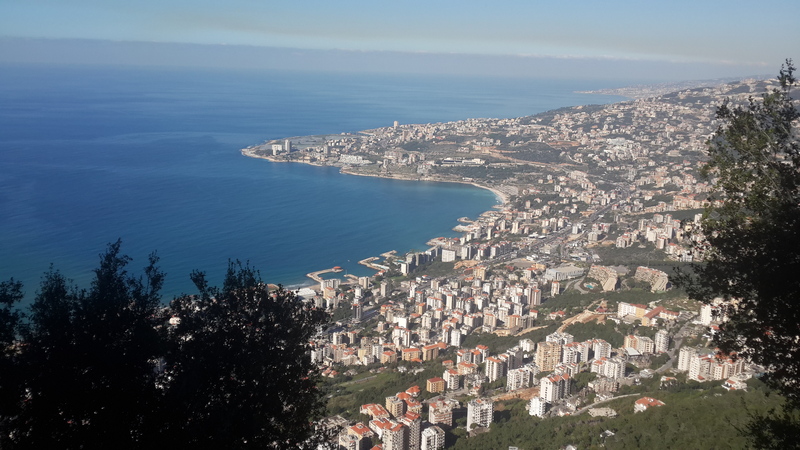 On this day our journey began in the valley, Nahr El-Kalb, 18 km north of Beirut, and continued to Jeita Grotto, followed by Harissa, a small mountain village 650 metres above sea level, and ancient Byblos. On the way to the grotto, we took a small diversion to a war memorial commemorating the Australian diggers who fought in World War Ⅱ. I knew little of the involvement of Australians in Lebanon during the war. Australian troops, part of the 7th Division, fought as part of an Allied force in Syria and Lebanon against the Vichy French. According to the Australian Lebanese Historical Society, the first Australian casualty was Nicolas Koorey, a 26-year-old Australian of Lebanese descent. Four hundred and sixteen Australian troops were killed in the battle and over a thousand were wounded. It’s certainly a history lesson which needs to be more widely taught back home in Australia. It would help to heal the widening gap between white Anglo-Saxon Australians and Australian-born Lebanese youths. As we left the memorial, I felt moved and excited at the same time. 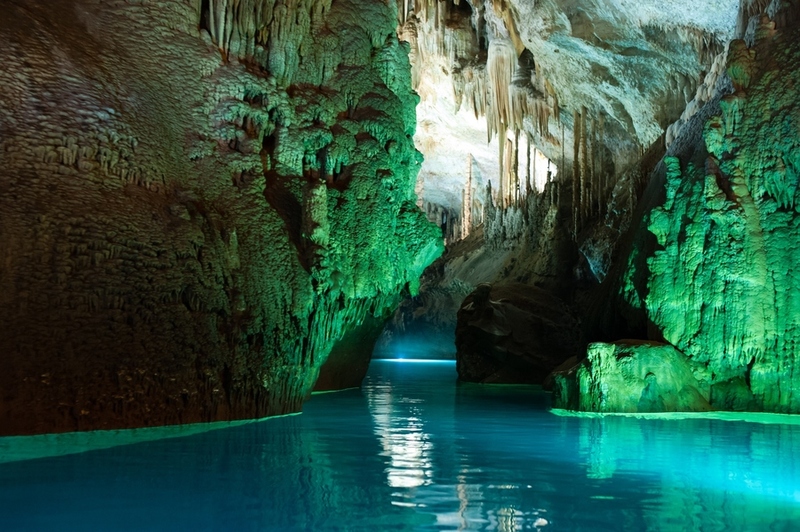 Our next stop: Jeita Grotto. There are not enough adjectives to describe this natural wonder located in the valley of Nahr El-Kalb. Millions of years are frozen in drops of water. A very frequent drop-by-drop water flow forms stalactites on the ceilings and stalagmites on the floor of the galleries and halls. Recipient of the 2013 World Tourism Organisation’s award for best tourist site in the Arab world, the Jieta Grotto houses one of the world’s longest stalactites. 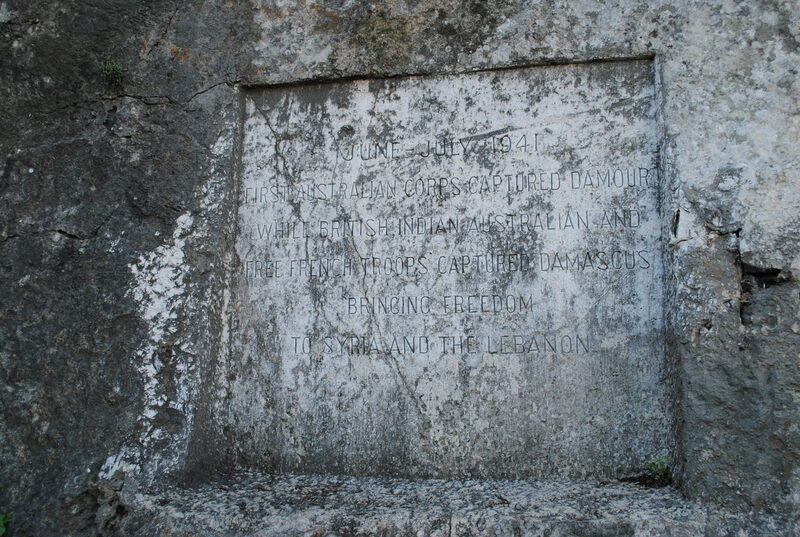 It measures 8.2 metres and is located in the upper grotto. This is a must if you’re travelling with children! My daughters, aged nine, eight and six, would not stop talking about their ‘cave’ experience, where they took turns to steer a small vessel in the lower grotto. The girls have travelled to many parts of the globe, including France and Italy, but nothing captured their imagination the same way their trip to Lebanon did. Once we’d completed our 90-minute tour of the grotto – pictures were not allowed inside – we moved on to Harissa, the home of Our Lady of Lebanon. The village is located 20 km north of Beirut and is accessible from the coastal city of Jounieh by road, or by a nine-minute cable car ride. The best view of this picturesque country is from the cable car to Harissa, from where the city and the Mediterranean Sea look breathtaking. Because of its religious significance, Harissa is often visited by Roman Catholic popes. On my first trip to Lebanon, I was told that I had to visit Jbeil (Byblos) during the Christmas holiday period. One of the oldest cities in the world to have been inhabited without interruption, Jbeil is situated 40 km north of Beirut. The history lesson continued as our tour guide, Bernadette, recounted the influence of the Phoenicians, Crusaders and Romans on the 8000-year-old city. After their tour of the Byblos Castle, the highlight for my children was putting on a performance in the Roman Amphitheatre. 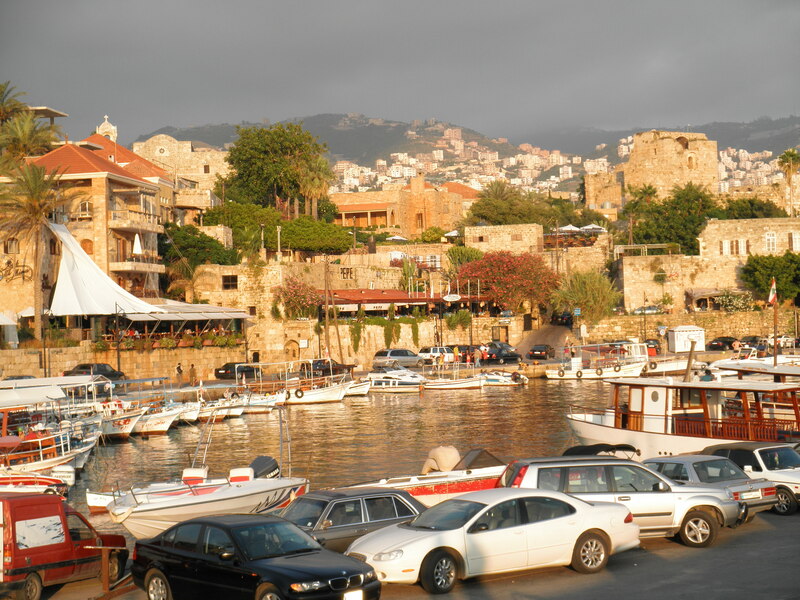 Jbeil is now a tourist hub for its ancient port, fish restaurants and shopping at the traditional Lebanese souk. There is no doubt that this was one of the most emotional journeys I’ve taken. I rediscovered myself and reconnected with my Lebanese heritage. When this tiny nation attracts so many negative mentions in the media, few could believe how deeply enriched Lebanon is by history and beauty. I wish I’d known it earlier.